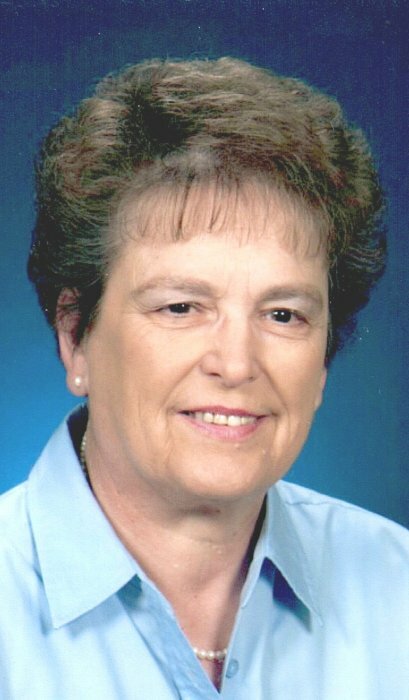 Obituary for Betty Riggs | McCombs Funeral Home Inc.
Betty Riggs, 83, of Jackson, Missouri, formerly of Murray, Kentucky, and East Prairie, Missouri, passed away Thursday, February 7, 2019, at the Monticello House in Jackson. She was born November 23, 1935, in Ridgely, Tennessee to James Thomas and Beatrice Swan Long. She was a 1953 graduate of Braggadocio High School in Braggadocio, Missouri. She and James E. Riggs were married August 17, 1957, at Braggadocio Baptist Church. They had been married 60 years when James passed away April 5, 2018. Betty and James made their first home in East Prairie. She worked 27 years at the Division of Family Services and was an active member of First Baptist Church, its choir and WMU. After retiring in 1991, they moved to Murray, Kentucky, and enjoyed living and fishing on Kentucky Lake, and were faithful members of First Baptist Church in Murray. Betty enjoyed cooking, sewing, quilting, and crafts. Loving survivors include two daughters, Lisa (Perry) Jones of Calhoun, Kentucky and Laura (John) Robinson of Jackson; three grandchildren, Lucas Jones, Kendall (Nathan) Lee and Ashley (Josh) Puckett; a great-grandson Harper Lee; two siblings, Charles (Marie) Long of Paducah, Kentucky and Margie (Ray) Hampton of New Market, Alabama. Visitation from 9 a.m. to service time, Monday, February 11, 2019, at McCombs Funeral Home and Cremation Center. Funeral is at 11 a.m., Monday, at the funeral home, with the Revs. Randy Riley and Troy Richards officiating. Visitation from 10 a.m. to service time, Tuesday, February 12, 2019, in the chapel of Murray Memorial Gardens Mausoleum in Murray, Kentucky. Committal ceremony will be at 11 a.m., Tuesday, at the mausoleum, with the Rev. Boyd Smith officiating. Memorials may take the form of contributions to First Baptist Church of Murray, Kentucky or the North American Mission Board of the Missouri Southern Baptist Convention. Online concolences may be sent to the family by visiting www.mccombsfuneralhome.com.